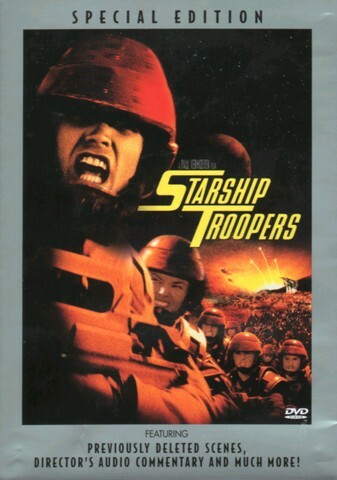 Starship Troopers is one of the most entertaining movies of the 90's. The movie includes so many cool scenes that i can't list them here. Paul Verhoeven has again proved that he can make SCI-FI movies. He did also make Total Recall and Robocop and most of the FX/Sound/Costume designers from theese movies were on the team that made Starship Troopers. Phil Tippet are the FX king of them all and made the beatifull animated "bugs" in this movie. The famous Basil Poledouris created an outstanding soundtrack in this movie and is like the one in Robocop. The GFX/FX in this movie are "State Of The Art", and are showing others how they should do it. 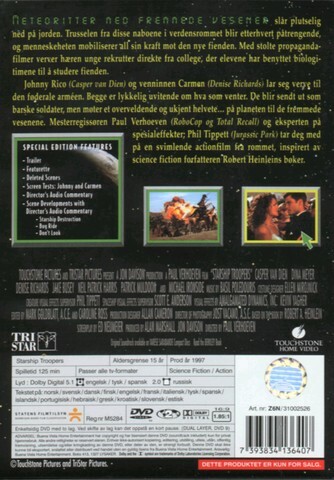 The DVD contains lots of extras too. I'm rating this movie 10 of 10!